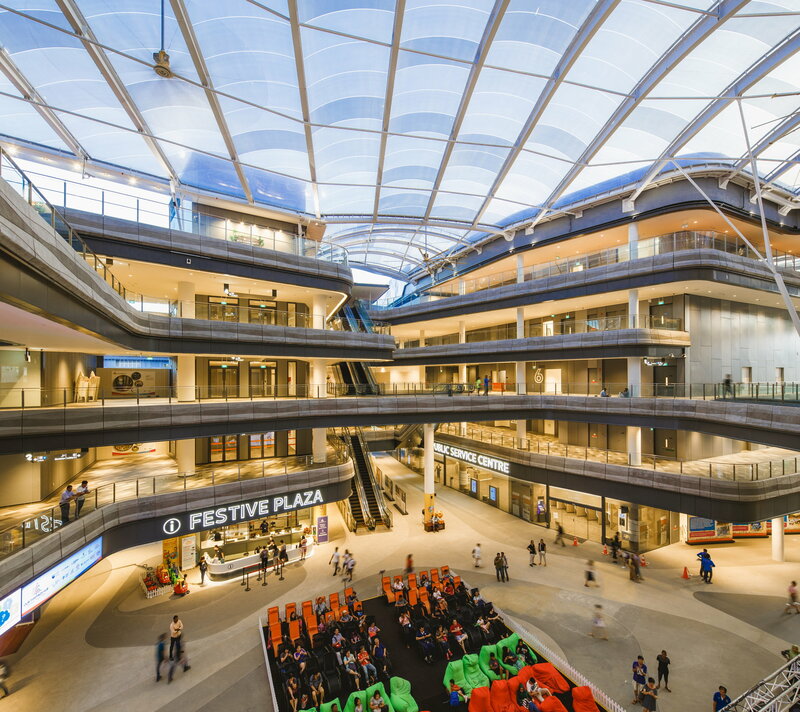 Our Tampines Hub (OTH) is a pioneering model in Singapore designed by DP Architects in close collaboration with the local community and the stakeholders. 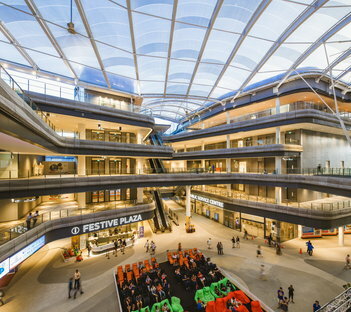 Our Tampines Hub (OTH) is a pioneering model in Singapore designed by DP Architects in close collaboration with the local community and the stakeholders. A complex designed with and for the residents to offer a full range of community facilities and services. 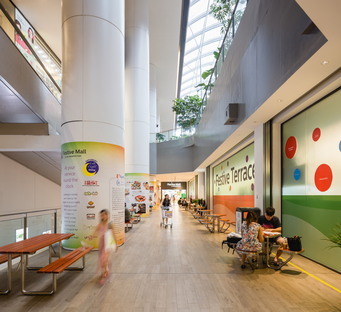 Sports facilities, a regional library, a family medical centre, eateries and retailers - this is Our Tampines Hub in Singapore, designed by DP Architects multidisciplinary firm. 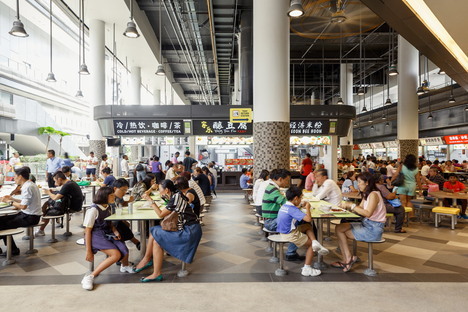 DP Architects stands out yet again for another project based on a participatory process, this time involving more than 15,000 residents of Tampines, one of the four regional centres created as part of the Urban Redevelopment Authority master plan. These new, self-sufficient towns with housing, retail, parks and other amenities are designed to take the pressure off Singapore itself. 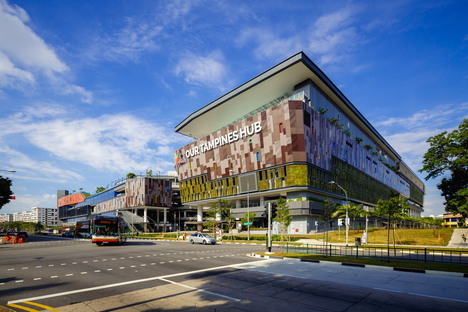 So, DP Architects conceived Our Tampines Hub as the heart and soul of the zone, where engagement of the community, interest groups and 12 public-sector stakeholders is the perfect architectural response to the local physical, socio-cultural and psychological landscapes. The result is a people-centric and inclusive multifunctional hub integrating a comprehensive range of activities focused on shared spaces and on collaborative use. 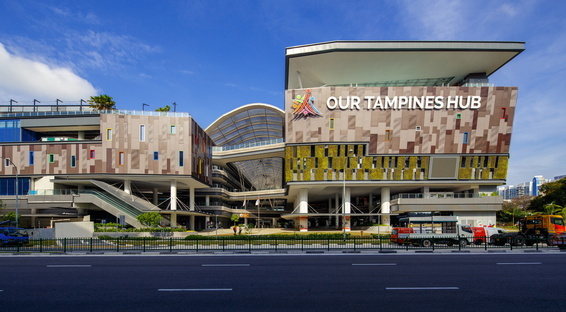 The architects were very careful to encompass borderless entries throughout the structure, whose facade is inspired by the materials and colours of the Tampines' past as small villages servicing the sand quarries. In addition to the social aspects, the design also adopts plenty of sustainable measures. For one thing, the fertiliser used for the shared urban gardens comes from food waste from the street food stalls and retail spaces. With Our Tampines Hub, DP Architects received a Silver award as part of the Interior Design Confederation Singapore (IDCS) Design Excellence Awards 2017, as well as the Skyrise Greenery Awards 2017. The latter award recognises the innovative and eco-friendly solutions applied by the architects through their landscape design geared towards creating multiple layers of interconnected green spaces. 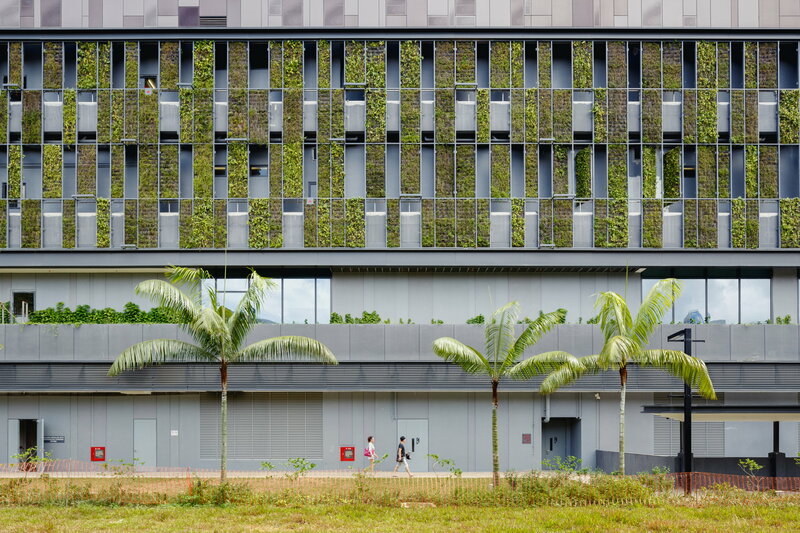 From lush roof gardens to green walls, Our Tampines Hub by DP Architects enriches the experience of residents through its integrated architecture and landscape design.